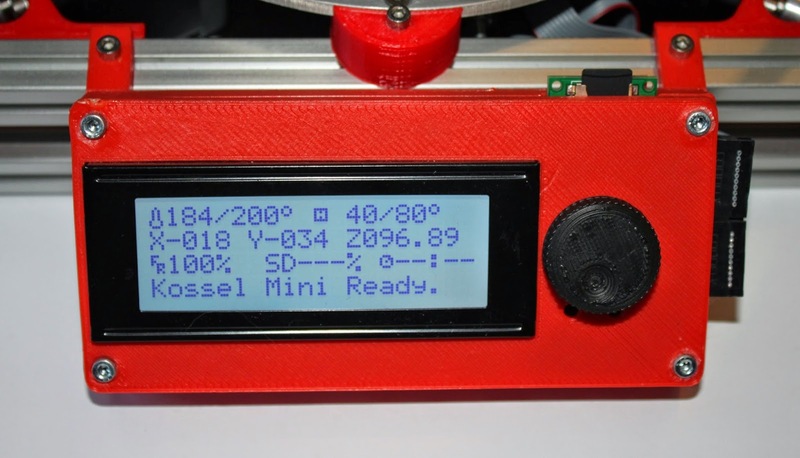 After nearly 4 months of supplying Mini Kossel kits we have had a lot of fantastic feedback from all the makers who have put the kits together. 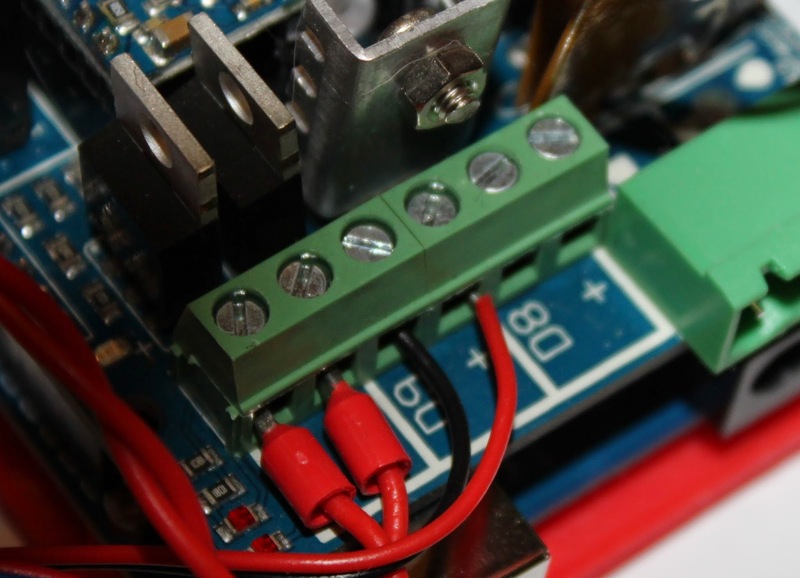 This is the third post on additions, changes and improvements (the first one is here, and the heated bed one here). 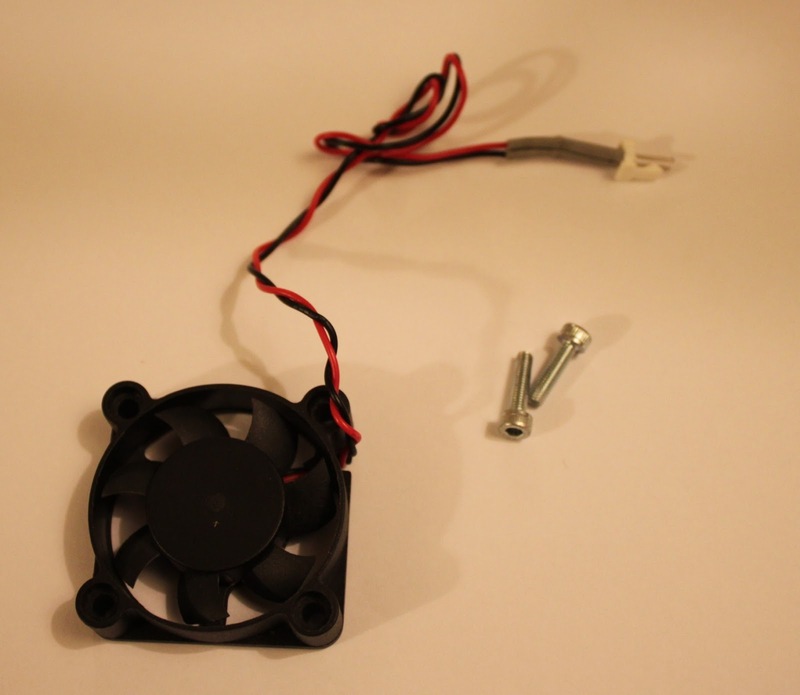 To minimise the air blowing on the heated bed from the existing, always-on, fan cooling the thermal break on the J-head, I added a strip of aluminium tape to the bottom of the always-on fan mount. 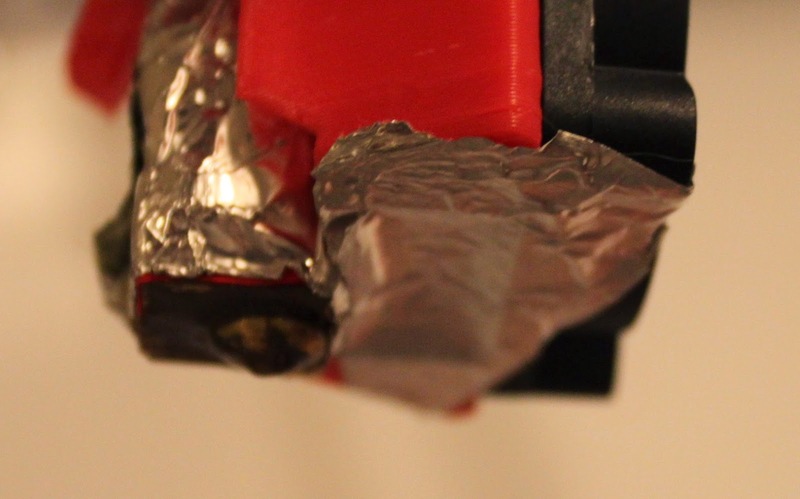 The tape can withstand the hot-end temperature so I sealed all the way to the hot-end heater block insulation. 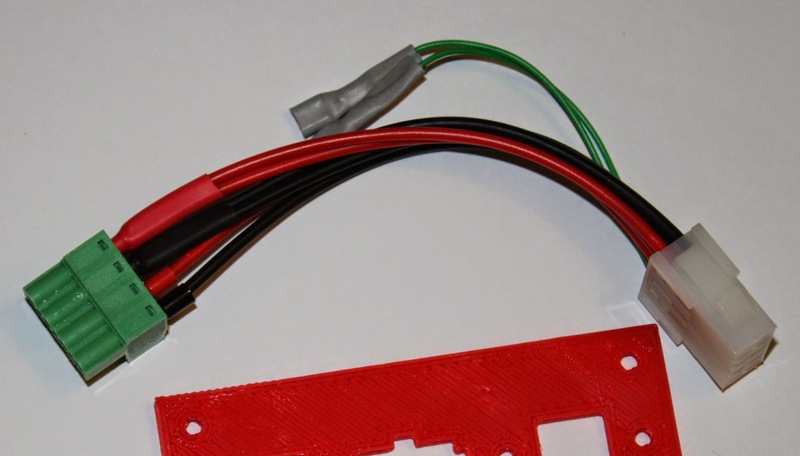 The second fan is prepared with a male connector pin so it can be plugged and unplugged at the same point as the rest of the end effector wiring loom. In the long run the end effector wiring loom may move to a 2x5 pin plug. The screws self tap into the plastic of the mount. 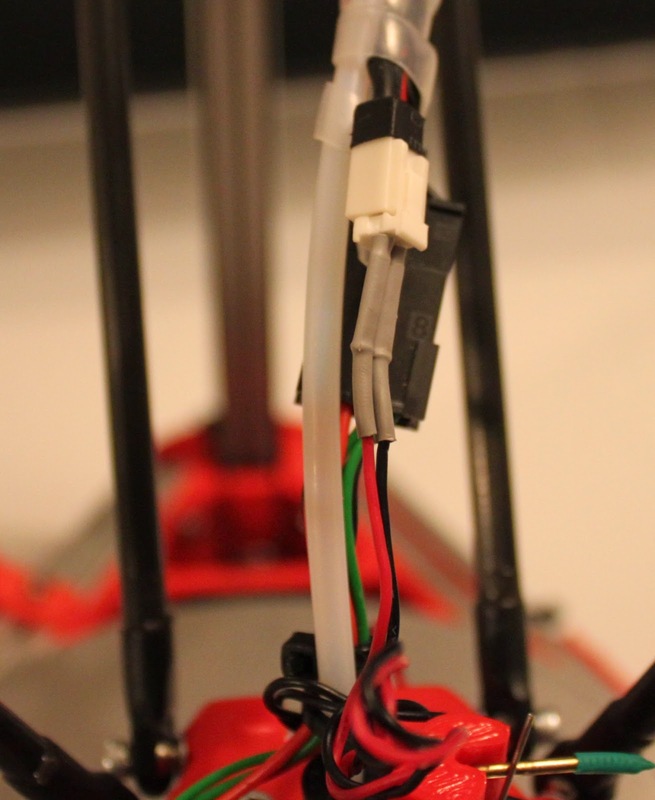 It connects to the RAMPS via screw terminal D9, between the extruder and heated bed (not connected in the picture below), allowing for PWM control when Motherboard number 33 is selected within Marlin configuration.h. 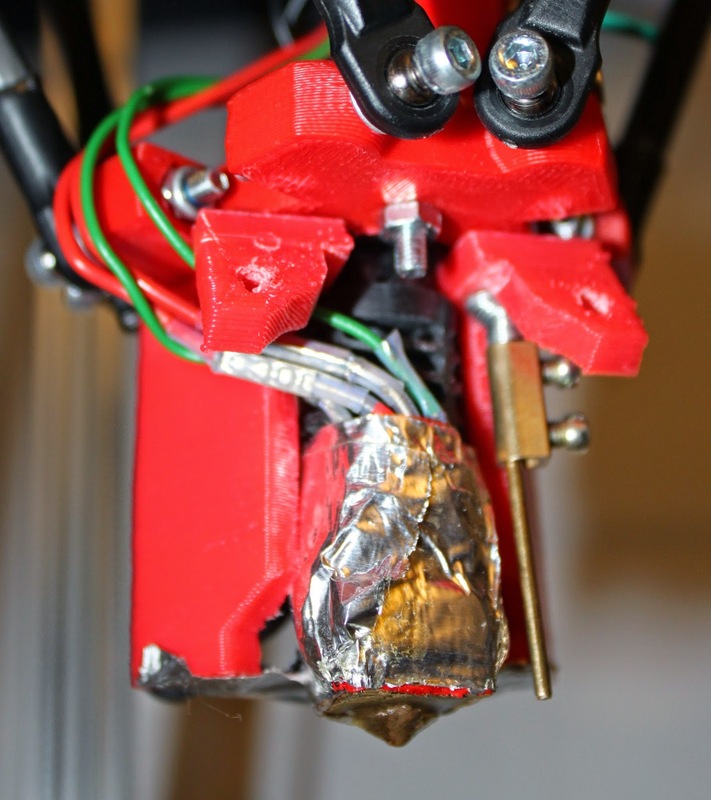 No firmware changes should be required from the standard setup and the cooling settings within Slic3r and Cura will turn the fan on after a specified number of layers. 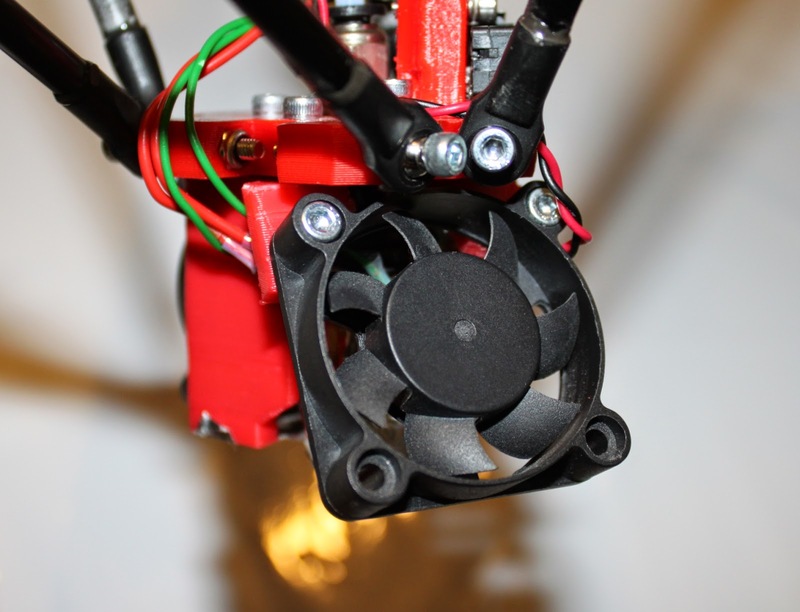 The source files for the updated hot-end fan mount are on Github. and its also a "thing" on Youmagine! 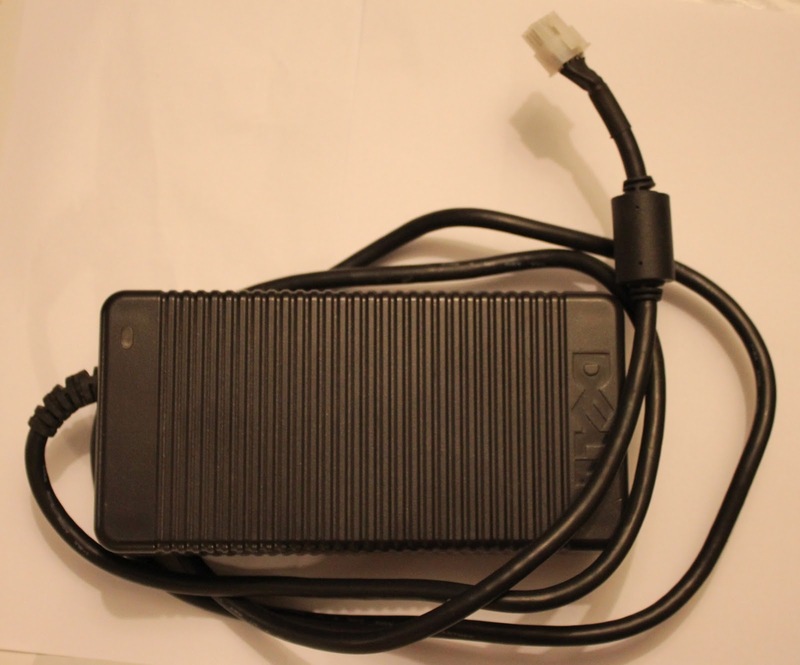 This beast is capable of providing enough power for the whole printer and heated bed so from now on complete printer kits ordered with heated beds will be supplied with just this power supply. Unfortunately although the DA2 is supplied with what appears to be a 2x4-way Molex Minifit plug, the housing doesn't mate correctly with the standard Molex 2x4 Minifit socket, and so needs to be changed (part numbers below). 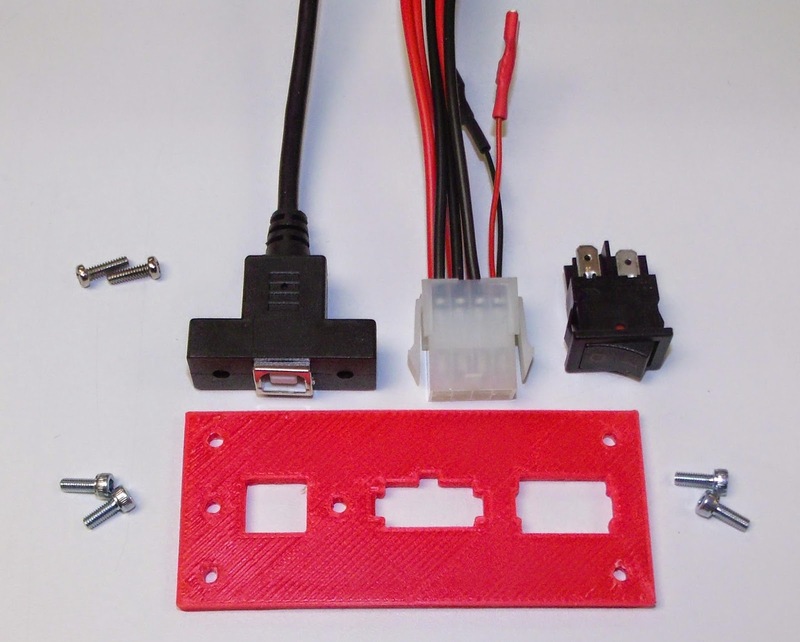 Roland designed a new face plate that accommodates the Molex socket along with a power switch and the USB plug. 16AWG crimp pins for molex 39-00-0078 and 39-00-0082. Standard case rocker switch such as this one. The second change is to add 4 menu items for filament management. 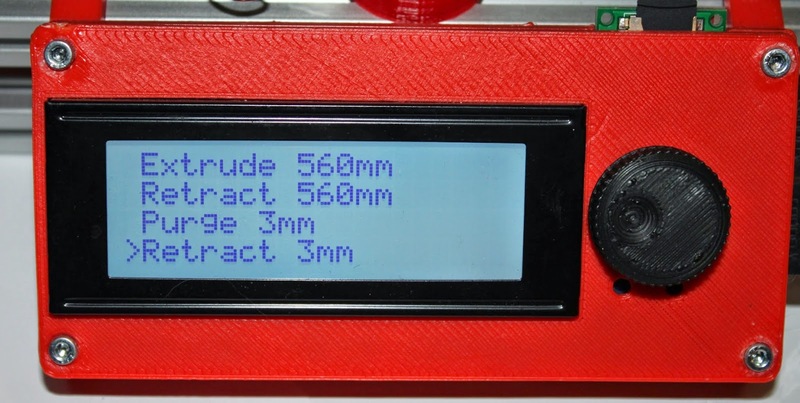 Within the "Prepare" menu you can now choose to prime or retract the filament by a small amount (default 3mm) as well as either load or unload the filament completely (default 560mm). This based on Lajos's changes to Marlin for the Tantilus printer, I changed his implementation to make it work with the delta firmware and simplify the options a bit. 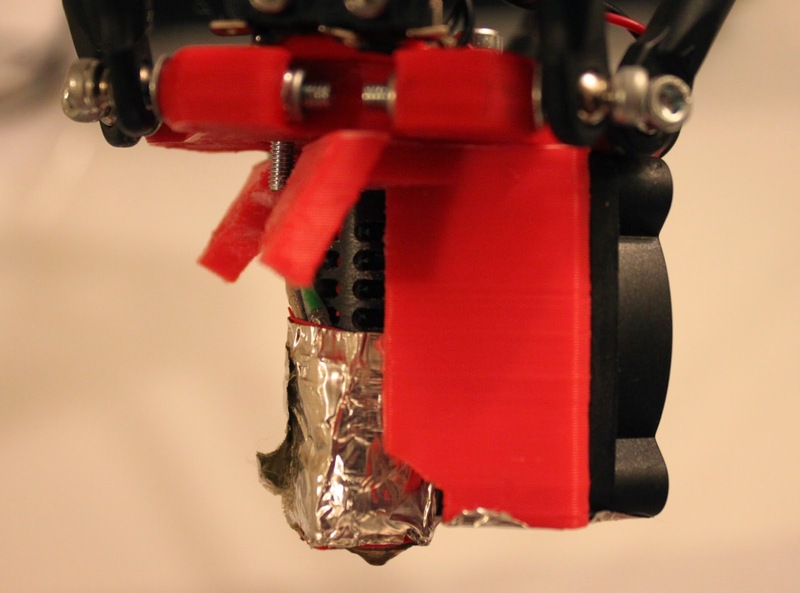 You can upgrade to these changes by downloading the Think3dPrint3d version of Marlin and uploading it. Make sure you copy across any changes you have made to configuration.h such as the Z height and delta radius after calibration. 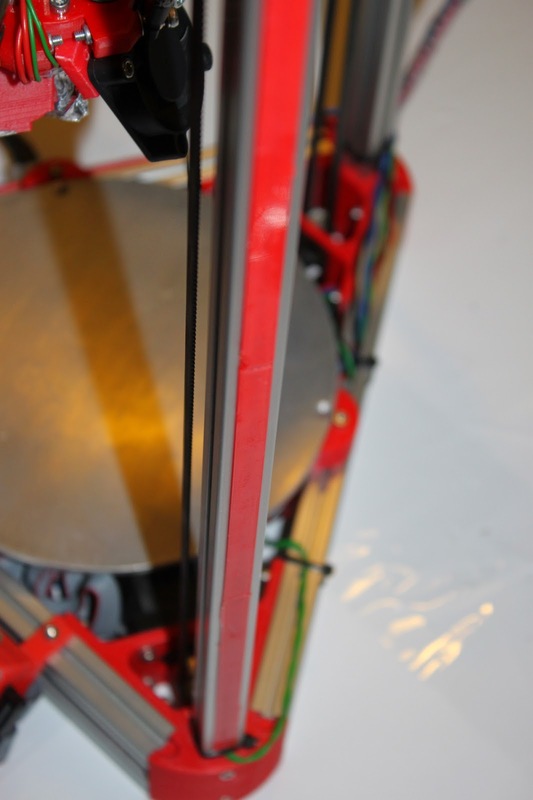 Mark Burton has added "Go Faster" stripes to his Kossel mini in the form of these extrusion insets, which nicely hide away the endstop cables. 4 of the strips fit in each extrusion tower. 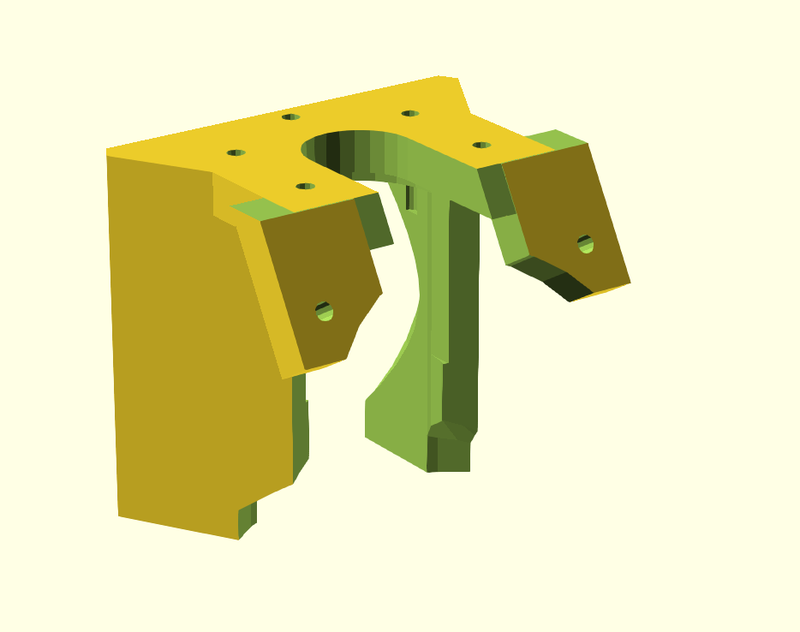 The scad and stl files are on github. Thanks to everyone who has sent feedback and design improvements! Any recommended settings for the cooling fan?